Going to have your image recorded was an important occasion that required looking your best. The subject needed to remain motionless for a quite a while which is why you almost never see anyone smiling. Women would often purse their mouths to make them look fashionably smaller. Young children would often be photographed with their mothers who held them still. Only one daguerreotype could be made from one sitting. 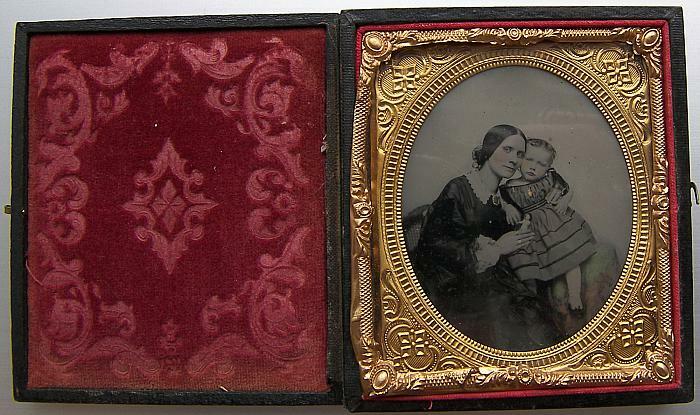 Because they were silver plated, daguerreotypes were sealed in decorative cases to keep the pictures from tarnishing. Cases made of leather or a molded shellac compound called a Union Case cost about $1 to $1.50. By the 1850s daguerreotypes began to be replaced by the ambrotype which was an image on glass rather than copper and was less expensive than the daguerreotype. 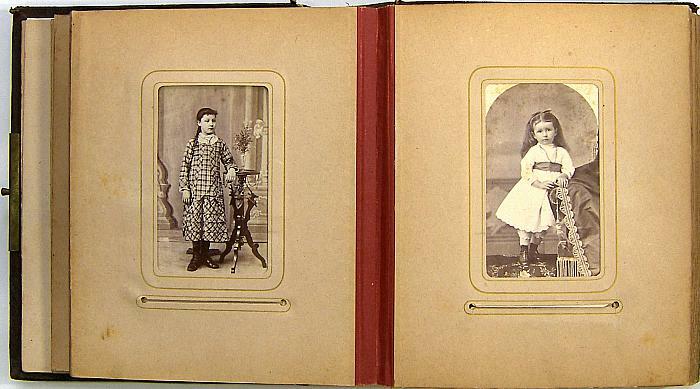 Ambrotypes were displaced by the cheaper carte de visite (CDV) around the 1860s. They were paper photographs mounted on 4" X 2½" cardstock that made them inexpensive and sturdy enough to be mailed to friends or carried in a wallet. Multiple copies could be made of the same image. 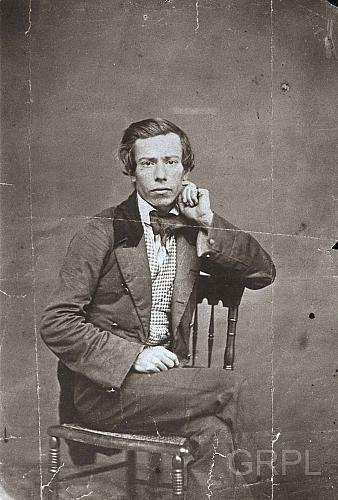 The CDV business flourished at the time of the Civil War as men had their photographs taken before they left home or carried CDVs of their loved ones with them. 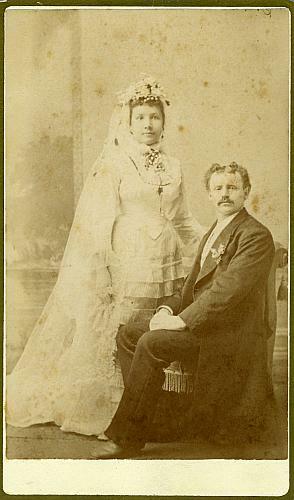 The photographer's name was usually printed on the lower front of the card or on the back. 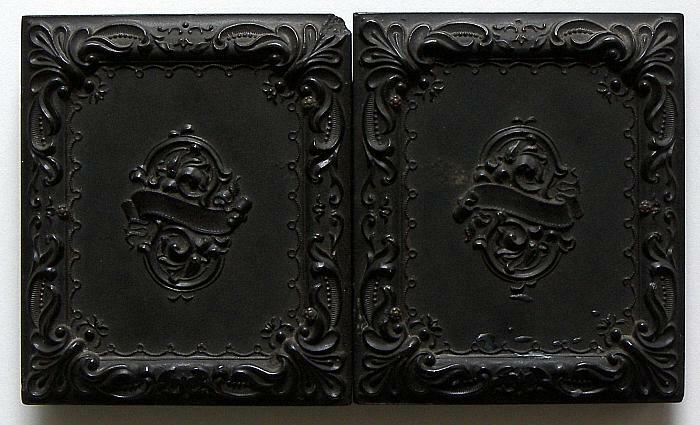 CDVs were displayed in a leather bound album especially designed to hold them. The cabinet card, a larger version of the carte de visite, appeared later and could be displayed at home in a cabinet in the parlor. The tintype (ferrotype) was popular from 1859 onward and a variation was still being used up to about 1908. They provided a cheap way of getting your photograph taken and almost anyone could afford it. 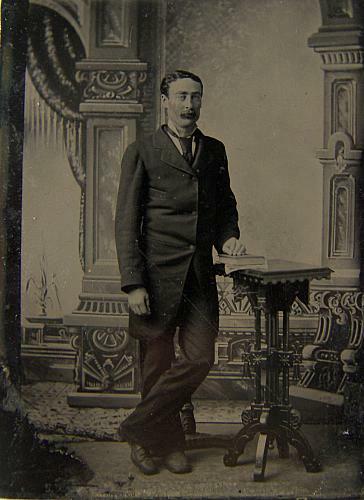 One of the earliest photographers to print on paper in Grand Rapids was young James Minton Keeney who came to Grand Rapids from Rochester, New York in 1856, and purchased the business of Orsamus W. Horton who had established his Daguerreian & Ambrotype Gallery in August of 1852 near Campau Square. Horton bought the business back in 1858 when Keeney left for the South. Glance at the Past shares notes on the roots of photography in Grand Rapids. Foresta, Merry A., and John Wood. Secrets of the Dark Chamber: The Art of the American Daguerreotype. Washington, D.C.: National Museum of American Art Smithsonian Institution Press, 1995. Jezierski, John Vincent. Enterprising Images: The Goodridge Brothers, African American Photographers, 1847—1922. Detroit: Wayne State Press, 2000. Directory of Photographers, 1856-1979, Grand Rapids, Michigan. Compiled by the Genealogical Society of Grand Rapids: The Society, 1991.